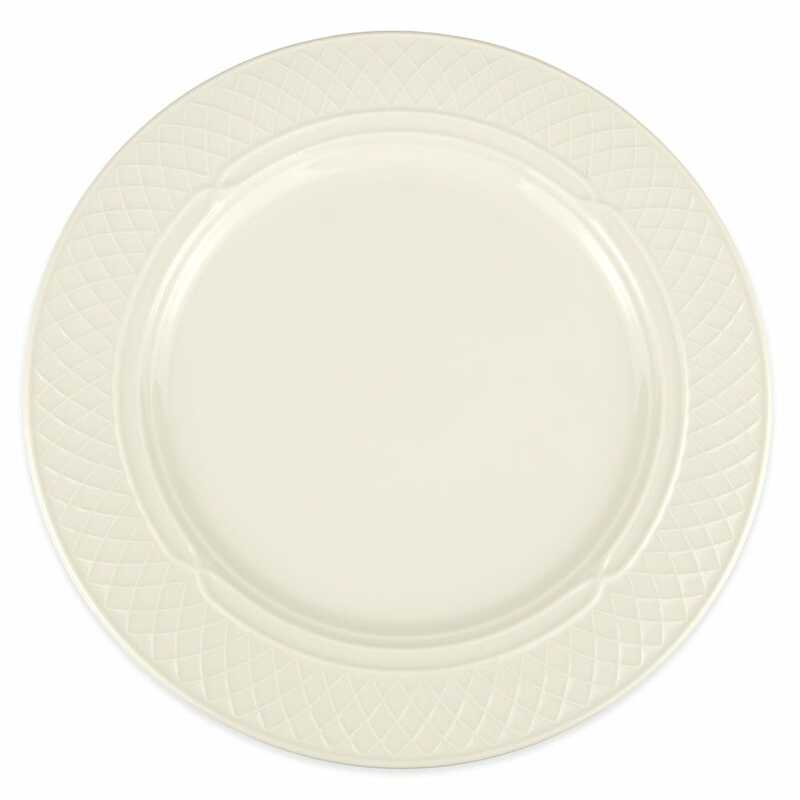 The Homer Laughlin 3427000 Gothic plate is durable with its china construction, resisting chipping and scratching. For a unique look, the rim has a crisscross pattern that is molded after Gothic architecture. 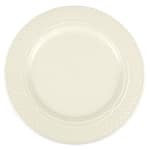 With a 121⁄2 inch diameter, large meals and sampler platters can easily fit on this dish. 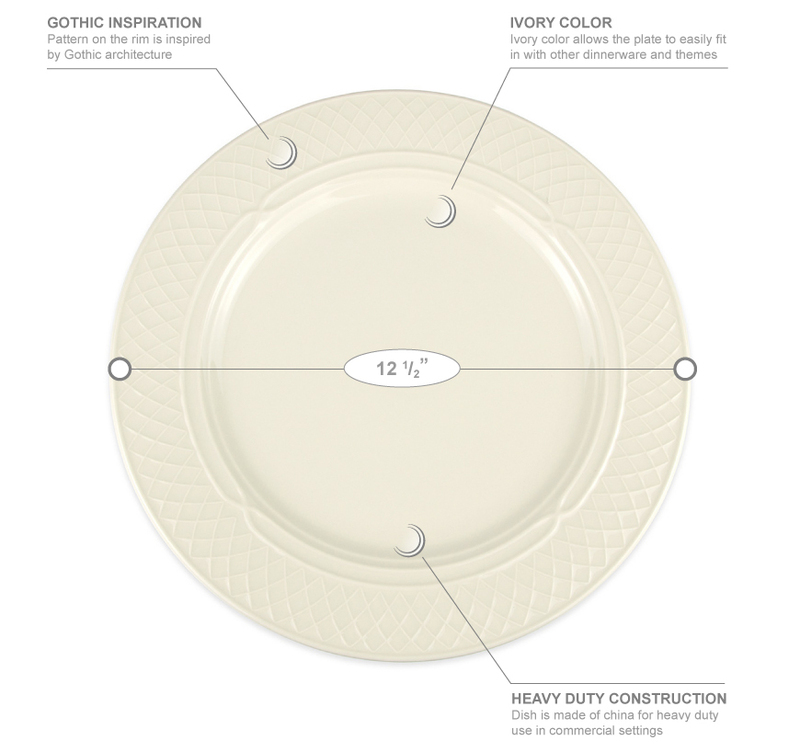 The Homer Laughlin 3427000 Gothic plate will easily fit into any theme since it comes in a neutral ivory color.